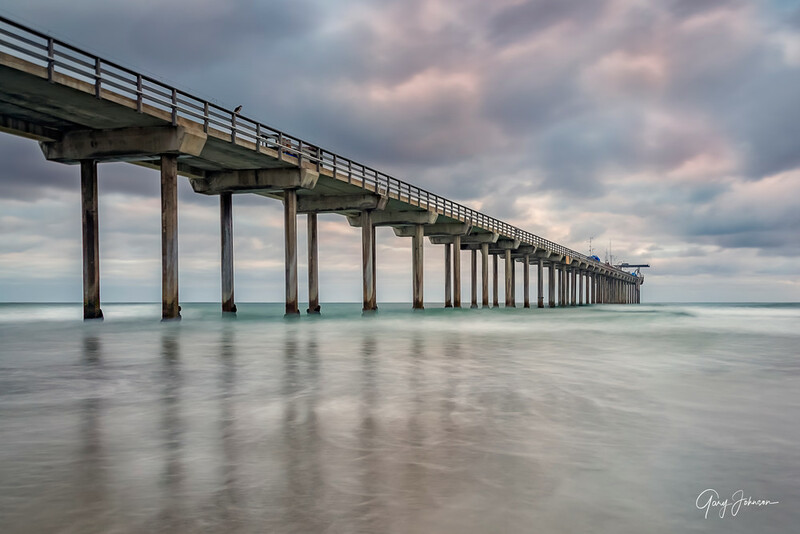 "Scripps Pier" is located in San Diego and is one of the world's biggest research piers. Scripps Institution of Oceanography is run by the University of California and is used for boat launching and a variety of experiments. I used a long shutter speed of six seconds to make the water look silky and serene. I was especially excited to see the Osprey sitting on the rail of the pier looking for its next meal in the ocean waters. I loved the texture in the clouds and the beautiful pink color.